Fall is upon us and many of the watches RedBar got hands-on with at SIHH 2018 are now ready for delivery in North America. 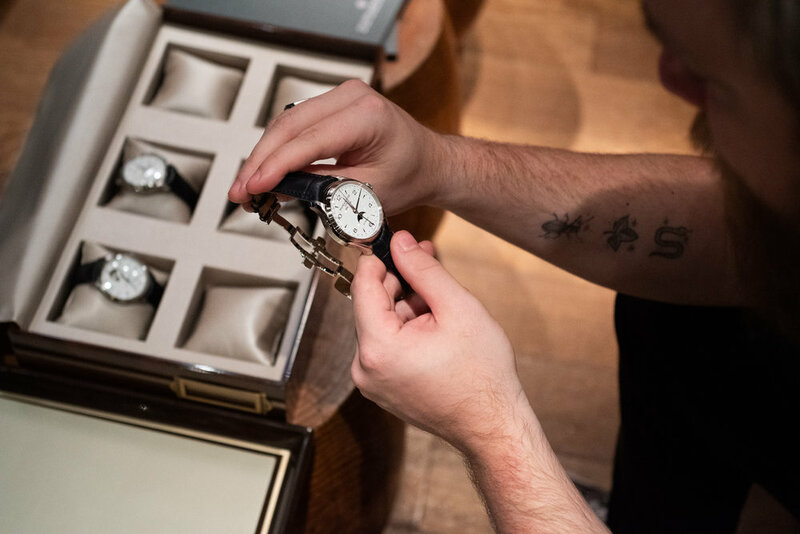 To celebrate the turn of the seasons, RedBar teamed up with our friends at Baume et Mercier to get hands on with their flagship collection from this year’s show, the technically advanced Baumatic line. Among the trends we saw at SIHH in 2018 was the redefinition of the value proposition by many of the major players, and Baume et Mercier was no exception. To this end, they brought back their Baumatic moniker, but they didn’t merely settle for a simple automatic with a date. Rather, Richemont backing has enabled them to leap-frog this line forward, giving us, the watch collectors of the world, a true horological powerhouse for relatively little money. So it was that on a cool evening in NYC’s SoHo district, RedBar members were welcomed to a bird’s nest view of lower Manhattan at the always elegant Jimmy at the James hotel just in time to catch the sunset. 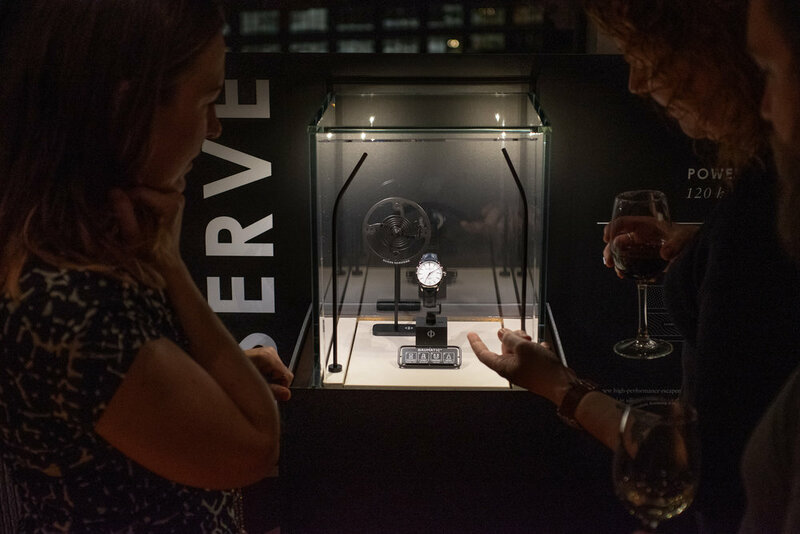 Frederick Martel, President of North America for Baume et Mercier, played host for the evening where he took the time to explain the nuances of the technical marvel they have brought into the marketplace – a high-end watch in a remarkably affordable package. With specialty cocktails like “The Baumatic”, “The Power Reserve”, and “The Game Changer”, the RedBar faithful relaxed and casually chatted with the Baume team. Also on-hand were RedBar Group CEO Kathleen McGivney and Founder Adam Craniotes to show their support for a brand that is really bringing a strong offering to a crowded marketplace. Ranging in price from $2,750-3,500 the Baumatic collection features both black and white dials, a two-tone case in 18k red gold and steel, and a COSC-rated model. 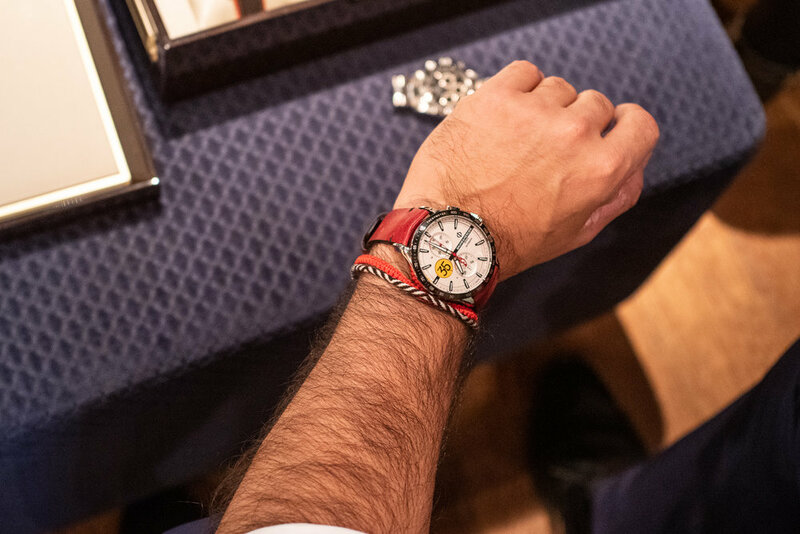 The aesthetics are restrained elegance in the vein of 1950s dress watches, with clean dials, thin 40mm cases, dauphine hands, and applied indexes. However, where the Baumatic truly shines is under the dial. Being a part of the Richemont group has given Baume et Mercier access to a whole slew of advanced watchmaking technologies, which, in turn, has allowed for the development of a movement that is as robust as any mechanical watch wearer could ask for. The proprietary BM12-1975A caliber was developed in conjunction with Richemont’s Research and Innovation Centre in Neuchatel and supplier ValFleurier. It features, among other things, a 120hr power reserve and magnetic resistance up to 1500 gauss thanks to a silicon balance spring and escapement (the latter being referred to as “PowerScape”). I applaud Richemont for introducing this technology with Baume et Mercier, so that everyone can have access to watch with a modern silicon-based movement and a 5-day power reserve that won’t need to go back to the watchmaker every time you leave it sitting on top of your cell phone overnight. Modern electronics can sometimes throw off your mechanical watches but with today’s watchmaking there is increasingly less reason to worry about this. I am looking forward to seeing what new designs Baume et Mercier will be offering this new Baumatic movement in come next SIHH. It seems it’s just around the corner. See all you RedBar NYC members at the next event soon!